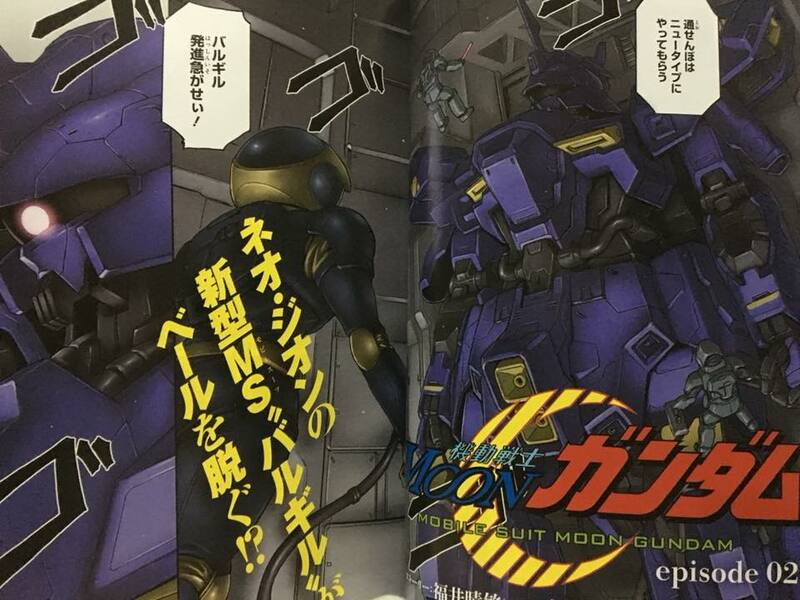 The December 2017 issue of the monthly comic magazine Gundam ACE first revealed some new Gundam and Mobile Suits from Mobile Suit Moon Gundam. 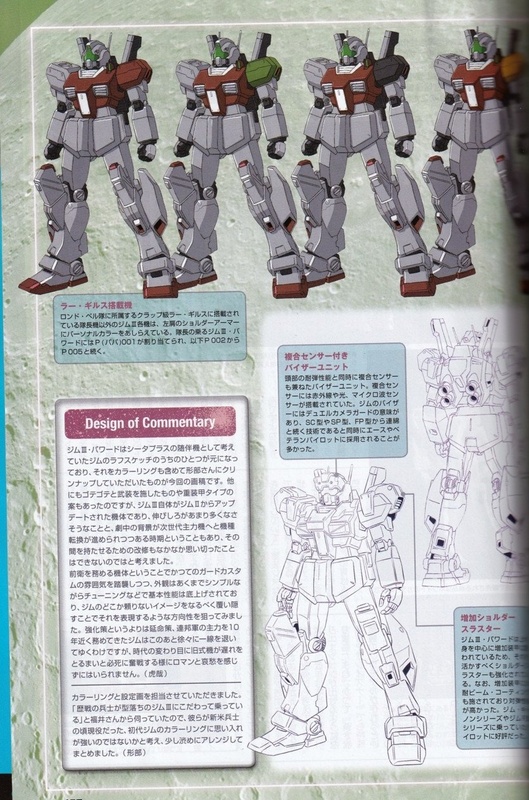 The episode 2's mechanics revealed some familiar Mobile Suits like Rick Dijeh, and a blue colored Sazabi-like MS. 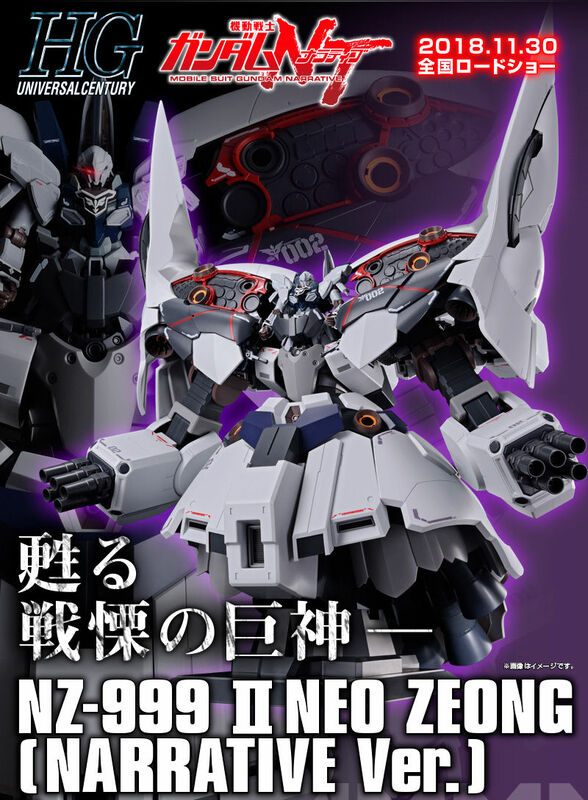 The magazine was released on October 26, 2017 for 800 Yen. 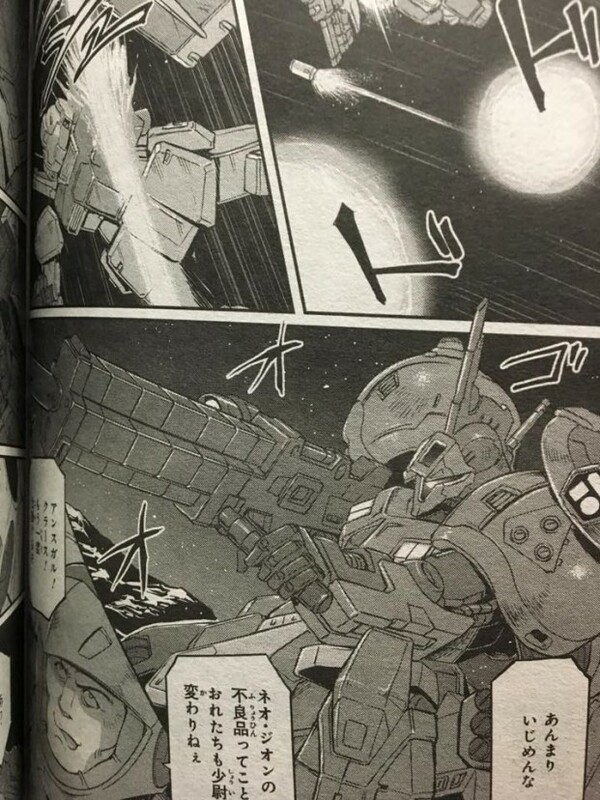 Gundam ACE also features the 10th anniversary of Mobile Suit Gundam 00, and revealed the prequel story of Mobile Suit Gundam UC Bande Dessinee, Episode:0. 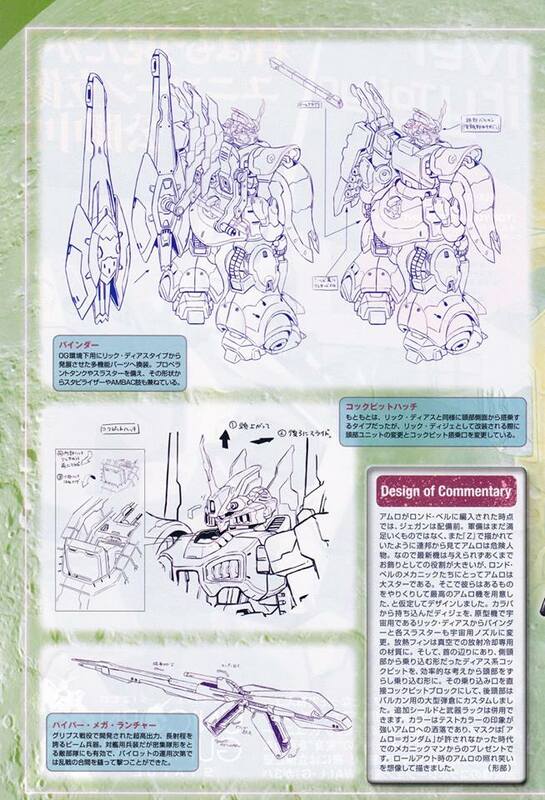 Ippei Gyoubu revealed another Gundam design on Moon Gundam Mechanical Works vol. 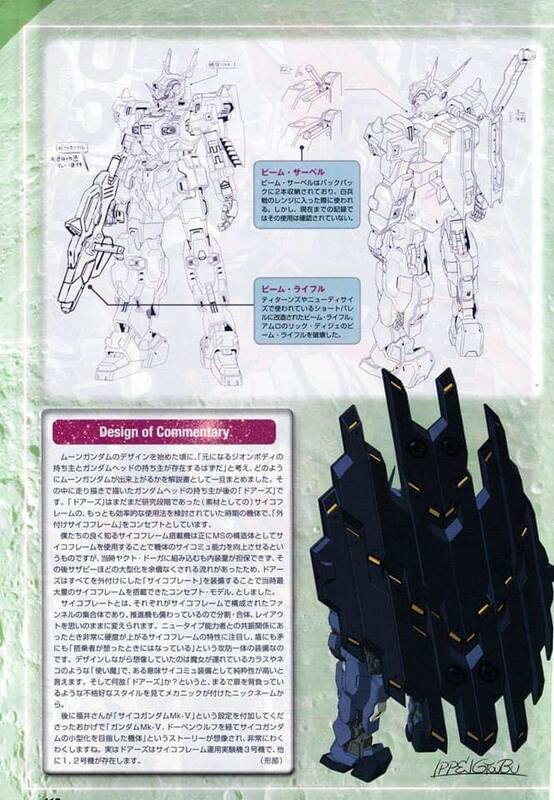 13 via Hobby Japan magazine. 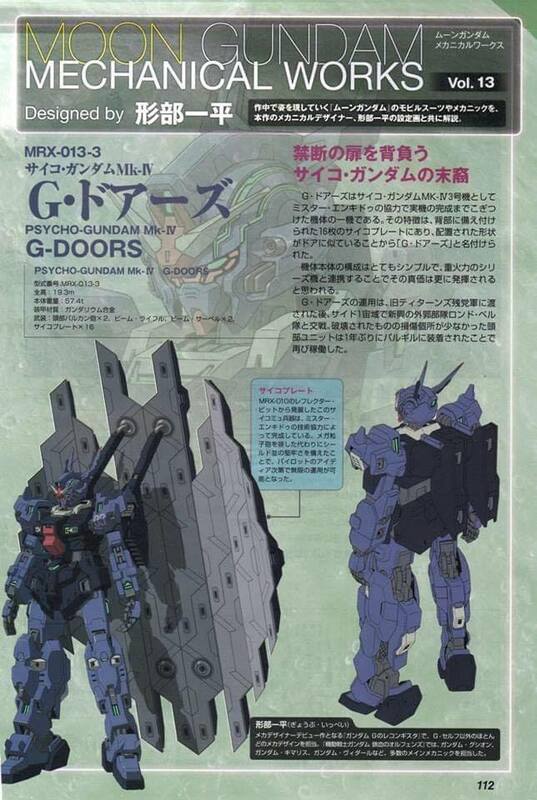 The Gundam was called Psycho-Gundam Mk-IV with code name of G-Doors. 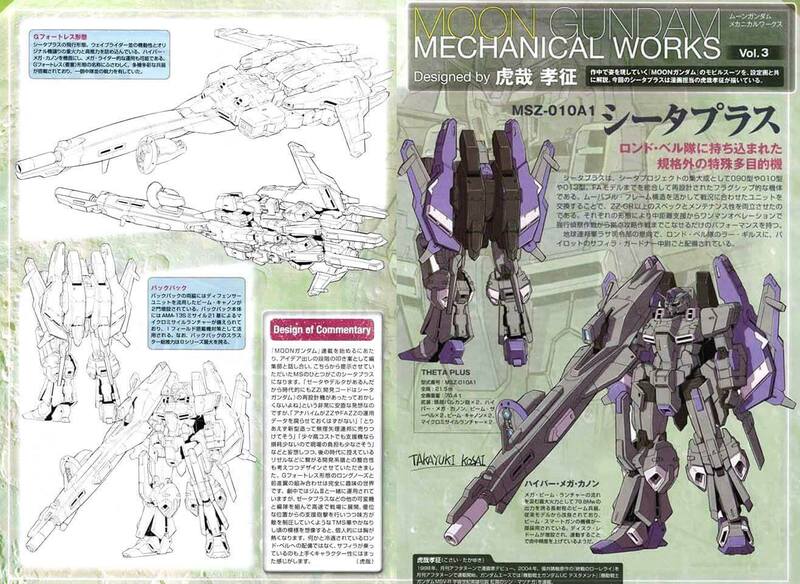 Another cool design from the Moon Gundam series revealed at its vol. 5! 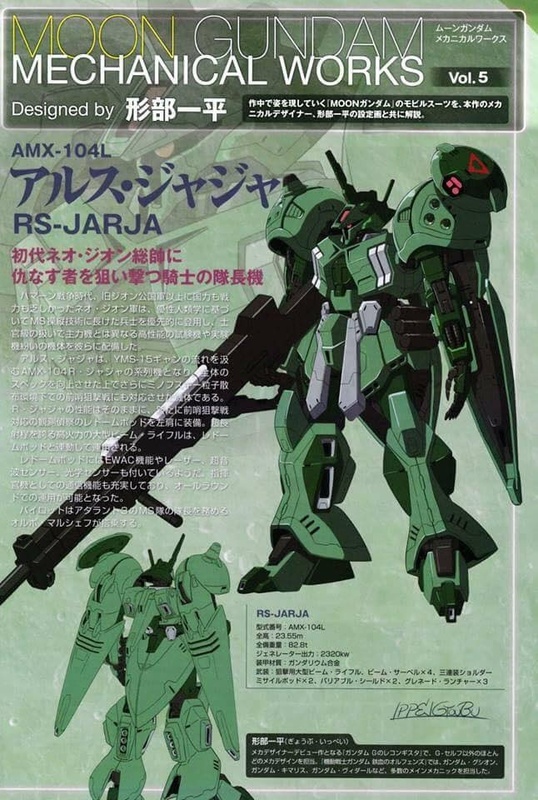 Amuro and an one eye mobile suit (Rick Dije)? 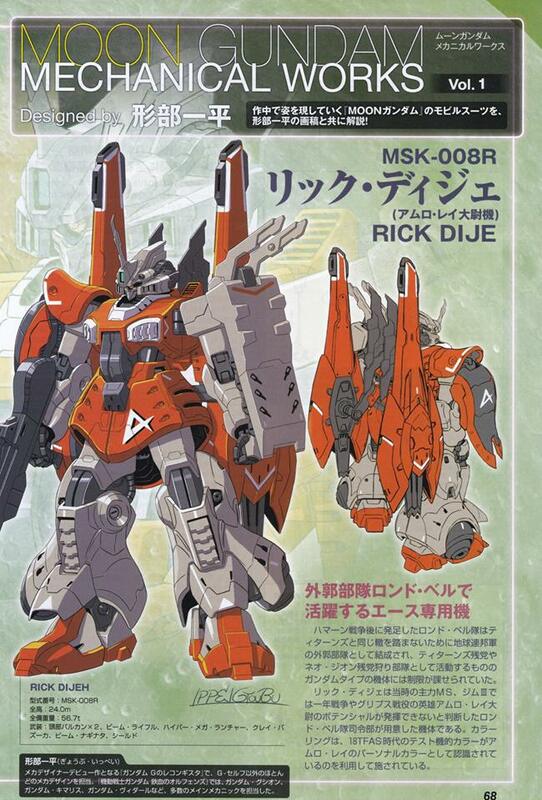 That Rick Dijeh looks like its been taking some visual cues from IBO. Not that its a bad thing! 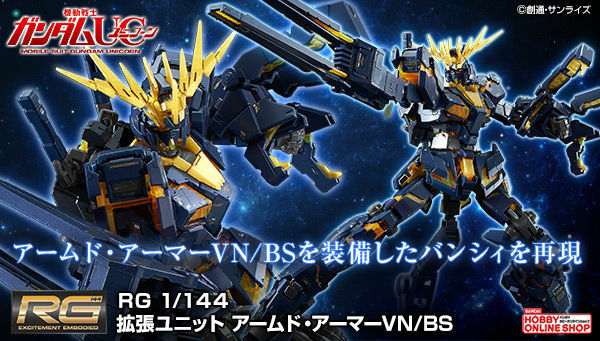 Bandai, pls, I need gunpla of this beautiful monster, the Bargil(?)! The Theta Plus aka ZZ Plus. 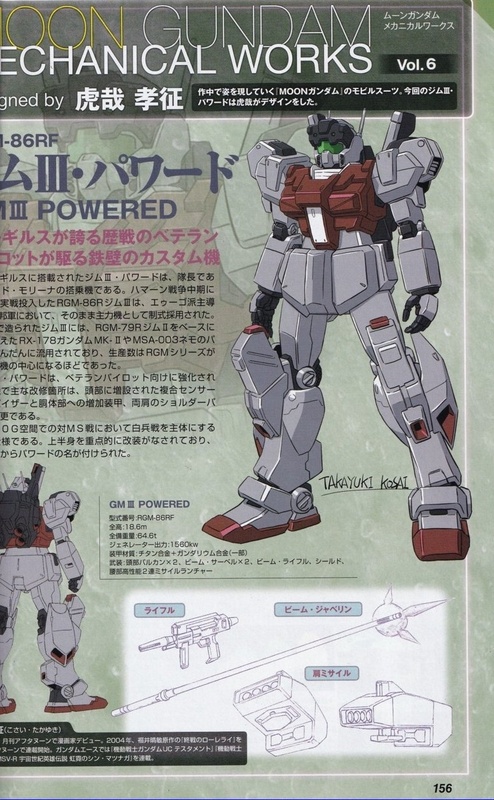 It looks like either a more streamlined ZZ or a bulked-up Zeta. 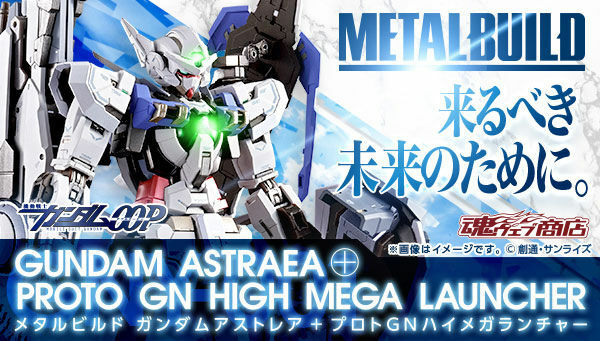 That Large Hyper Mega Cannon is straight from the Full Armor. 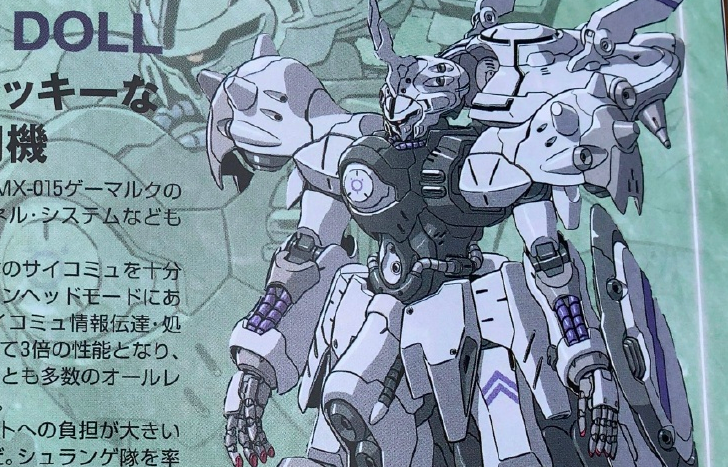 So MoonMoon is the Varguil with the Psyco 4's head and some of its Psycoplate? OMG THE VARGUIL. 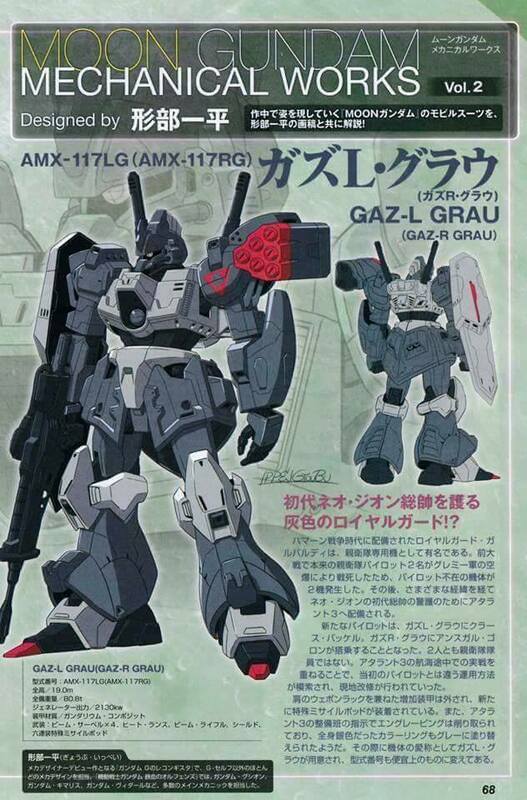 ITS LIKE IF KAMPFER AND SAZABI HAD A BABY AND SAZABI'S FATHER IS GEARA DOGA. 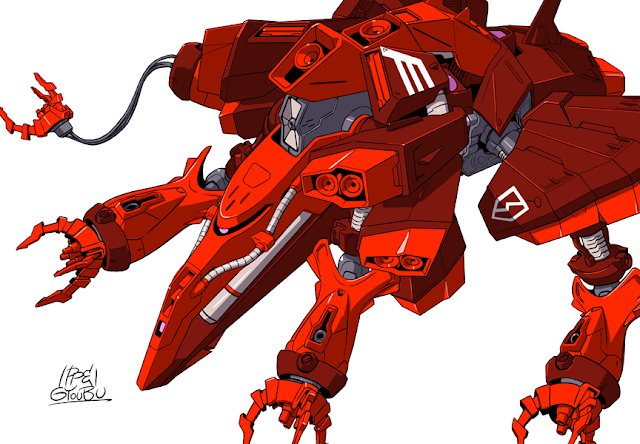 The Medusa is a quadruped Hamma Hamma with the head coming out of the Hamma Hamma's crotch. Wow. 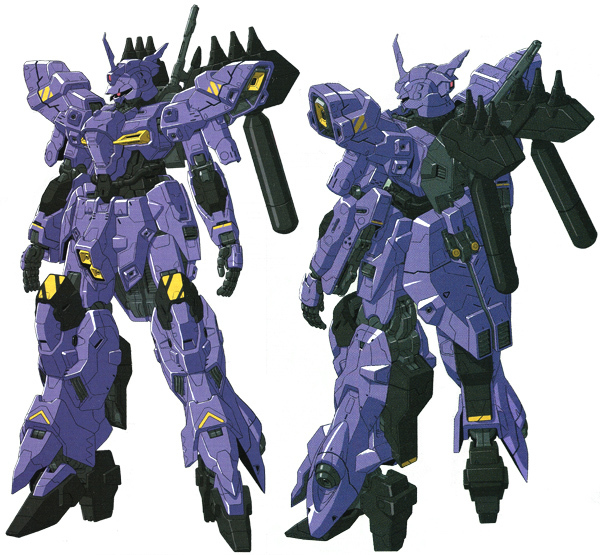 Always thought the Moon Gundam had such an emphasis on psycho-weapons it might as well be a Psycho Gundam. 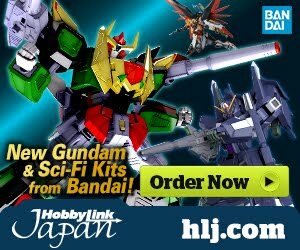 Hope they make a kit for the Mk-IV! 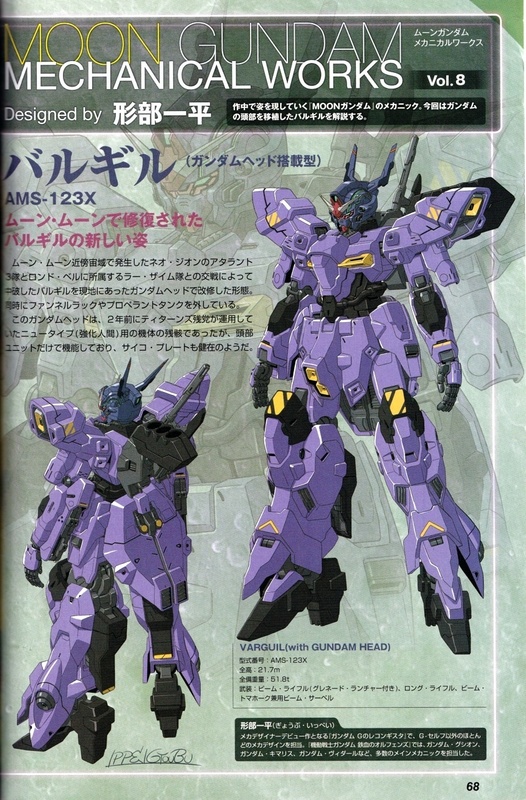 Also, wasn't the official spelling of these Gundams "Psyco" without an H? 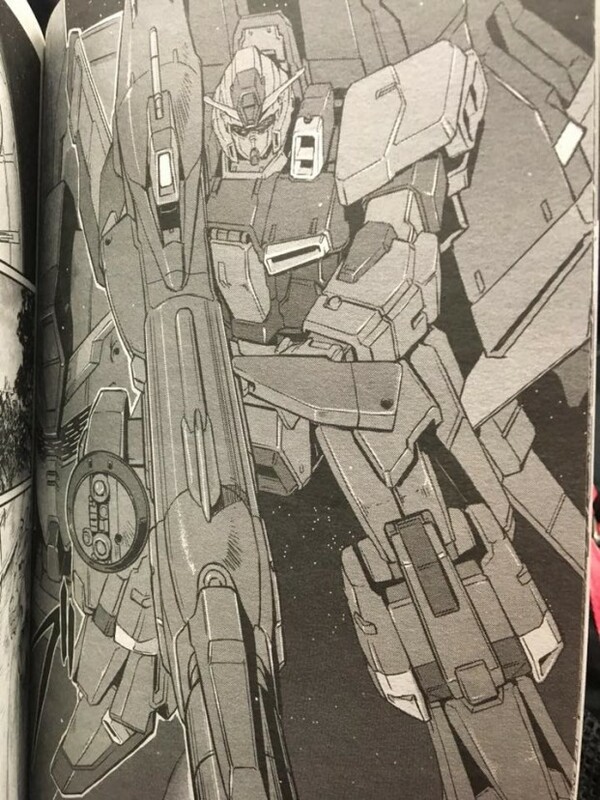 Did they retcon it? The Dag Doll looks sick!!! 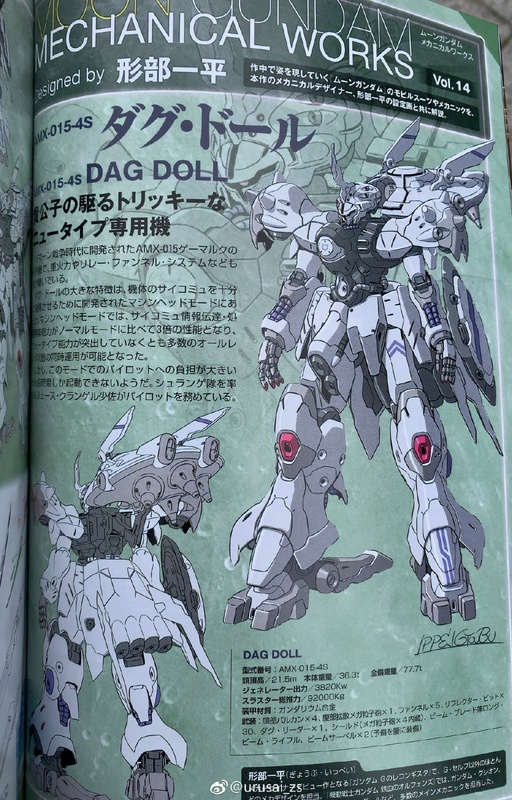 The Dag Doll looks like an IBO design that was cut and reused for this series. 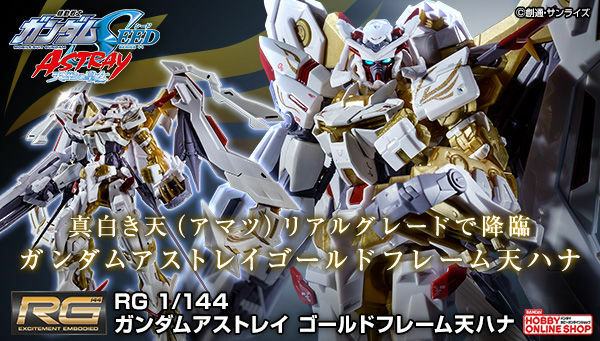 If they ever make a kit of this it would blend in well next to Kimaris and Bael.